The students that make up the ambassador team are the voices and faces of USB. They promote the advantages of a USB education as well as bear witness to the excellent student experience. Becoming an student ambassador is a great way to acquire oral communication and public-speaking skills through the offering of on-campus guided tours and presentations in high schools. 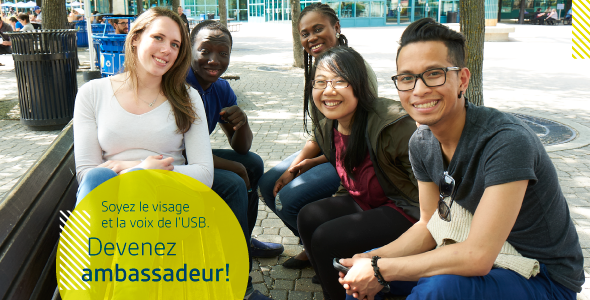 To fill out a form in order to apply to become an ambassador, visit the French webpage: Ambassadeurs de l'USB.